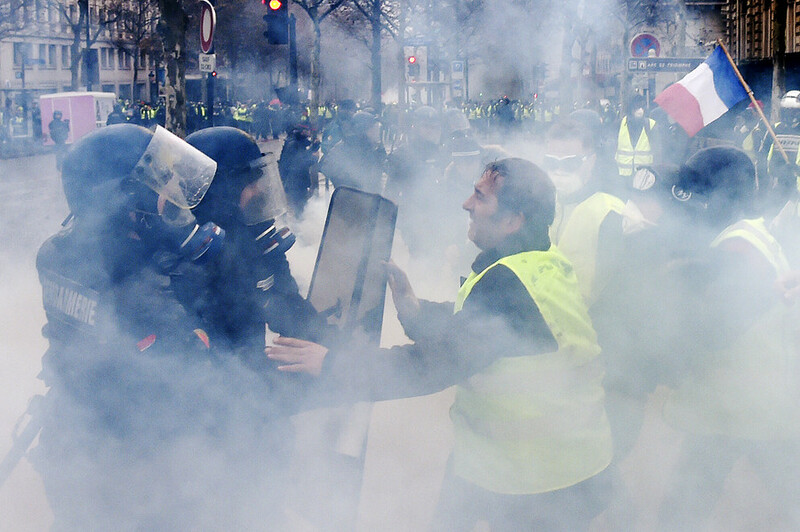 A group of violent protesters has attacked a police officer at the Yellow Vest protests in Paris, pinning him to the ground before repeatedly hitting and kicking him. 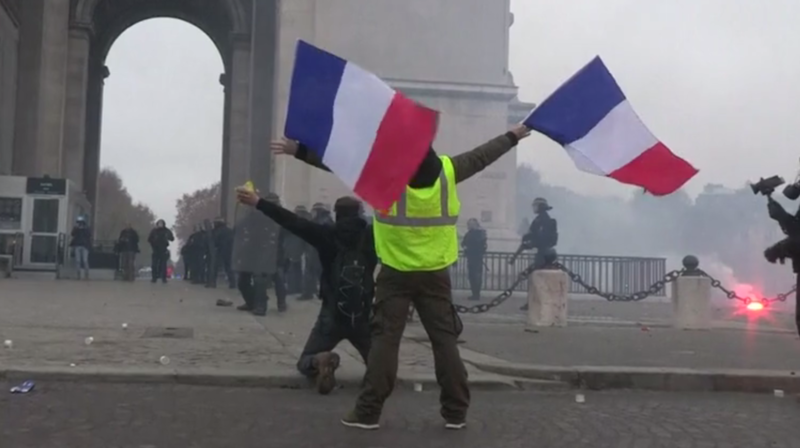 A video shows the mob ganging up on the officer near the Arc de Triomphe in the French capital. He eventually breaks free, with one protester seen to be helping him as he flees from those who attacked him. 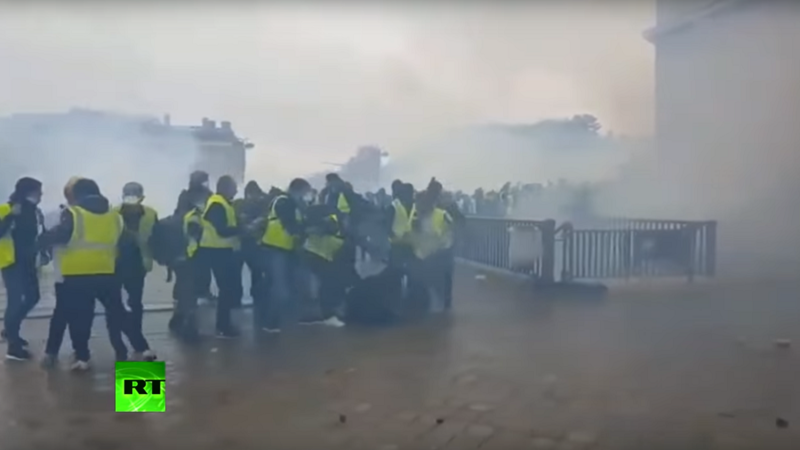 The footage shows just one of the many acts of violence taking place in Paris on Saturday, where some 260 people have been arrested and around 100 others injured during Yellow Vest protests. 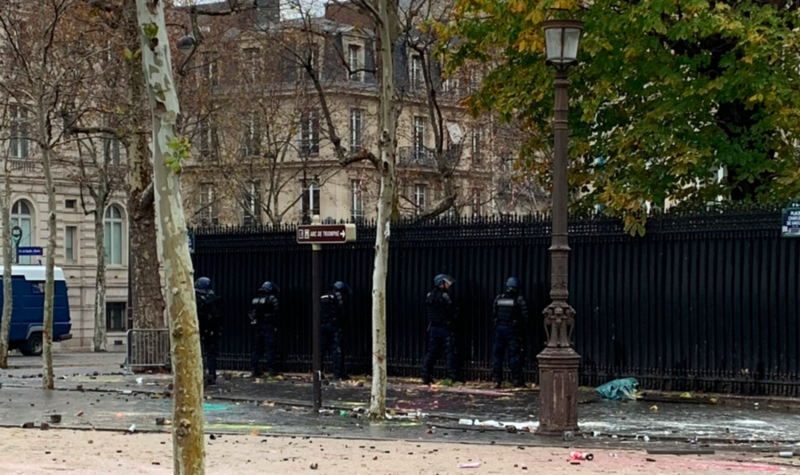 This is the third weekend that protests against fuel hikes have hit Paris, turning the city into a battlefield and leading to tear gas and water cannon being deployed by officers. 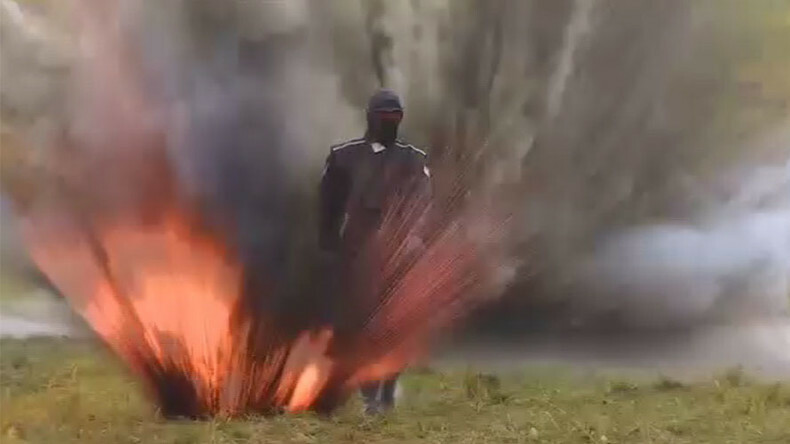 Demonstrations are also taking place in other cities across France, including Marseille, Strasbourg, and Toulouse.